Having trouble finding time to update your company’s Twitter account, Facebook and WordPress, with your workload? Try Hootsuite. This is the leading social media dashboard to help organizations manage and view their social networks. HootSuite app allows you to pre-schedule updates to your Twitter, Facebook, LinkedIn, Google+, MySpace, and WordPress. Hootsuite also enables you to analyze your social media traffic. The free account allows you to connect to 5 social profiles. Hootsuite also provides a host of resources to help organizations with designing their social media coverage. Box is similar to Dropbox or Google Drive in that it is a cloud-based content management application that syncs with your desktop. It provides 10GB plus syncing capabilities with its free profile. Box can be accessed by any mobile devises such as iPad, iPhone, Android and tablets. It also has a very nice document preview capability without opening the document. Users can add comments and view versions with documents with a paid subscription to the app. The advantage of Box over DropBox is that it allows online editing of documents and has 8 GB more space with a free account. With the advent of cloud-based document management systems, such as Google Drive, DropBox, SugarSync, SkyDrive, we now have the problem of having information and documents in multiple places. So where did you file that document? And in what system? Hojoki is an app that provides a way to see all your cloud-based apps in one view. It integrates Google Drive, Google Calendar, Evernote, Dropbox and Pocket plus about 25 more different apps. It has universal cloud search capabilities. It also allows teams to create customized workspaces that you can add folders from multiple cloud-based systems such as Google Drive and DropBox. It also has a basic task list however it does not give the capabilities of due or start dates. Take the demo and see if it might work for you. This article from Fast Company also provides a good overview of hojoki. Office 365 is essentially Microsoft Office in the cloud. It essentially lets you have all the functionality of Microsoft Office suite of applications, such as Word, Excel, PowerPoint, OneNote, Access, Publisher, Outlook via the Internet. 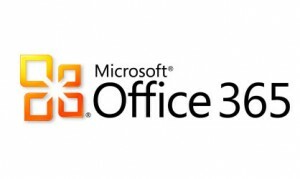 Therefore you can use Microsoft Office products on any mobile devises, Mac or other operating systems. The small to medium sized enterprise version also includes access to SharePoint and OneDrive (formerly SkyDrive). Depending on the version you purchase you can also have local copies of Microsoft Office and Lync available. (Lync is Microsoft online meeting and communications application). For small businesses who don’t want the maintenance of regular business server or Microsoft exchange server, Office 365, provides the functionality of a networked environment without the expensive hardware and software costs. Because it is cloud-based it also means no more upgrading since Office 365 will always be up-to-date. Once 365 is set up then it can be managed by an administrator or IT support staff. Learn more information on pricing plans and features. A clock that can be installed on your computer and displays the time up to 15 minutes early, you just don’t know. Good for those individuals who just can’t seem to be on time for meetings and appointments. The procrastinator’s clock shows time early to help those individuals be triggered to leave for meetings and appointments and hopefully arrive on time or maybe not as late. 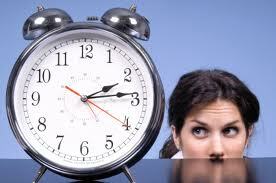 iGoogle: Google has their own procrastinator’s clock that you can add to your Google homepage. Dave Seah designed a procrastinator’s clock that just opens in your browser if you prefer not to download any app.